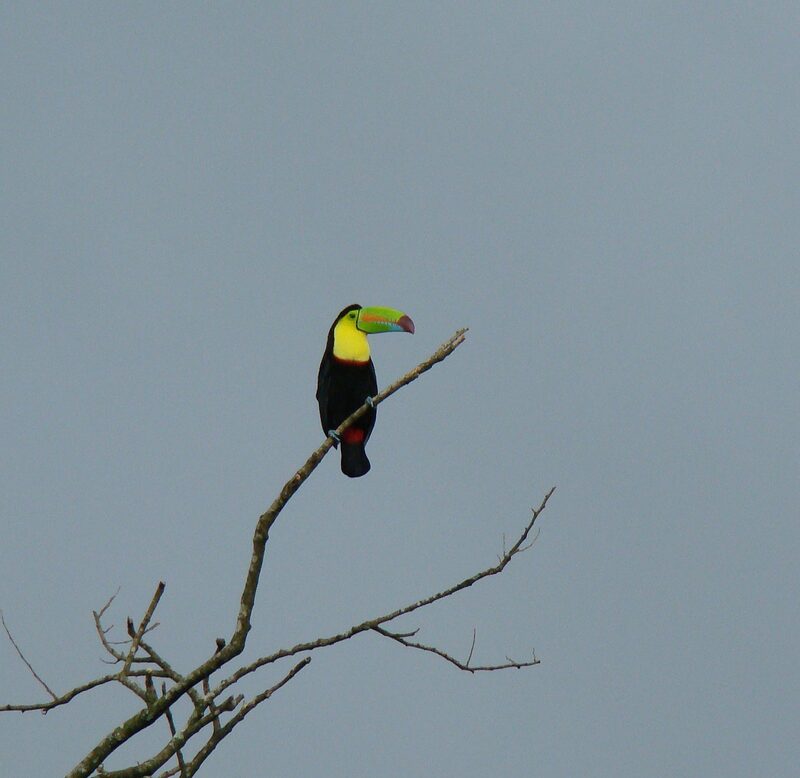 Third post in a series about the Delaware Nature Society Costa Rica Trip in November, 2011. For the 24 hours before it erupted, the ground shook violently and cows stopped drinking because the cool spring water had turned hot. On July 29, 1968, Arenal released its energy with huge explosions and lava flows, filling the sky with ash and hurling rocks the size of cars 5 km away. Toxic volcanic gas settled into surrounding valleys…80 people and 45,000 cattle were killed, and 3 towns were destroyed. 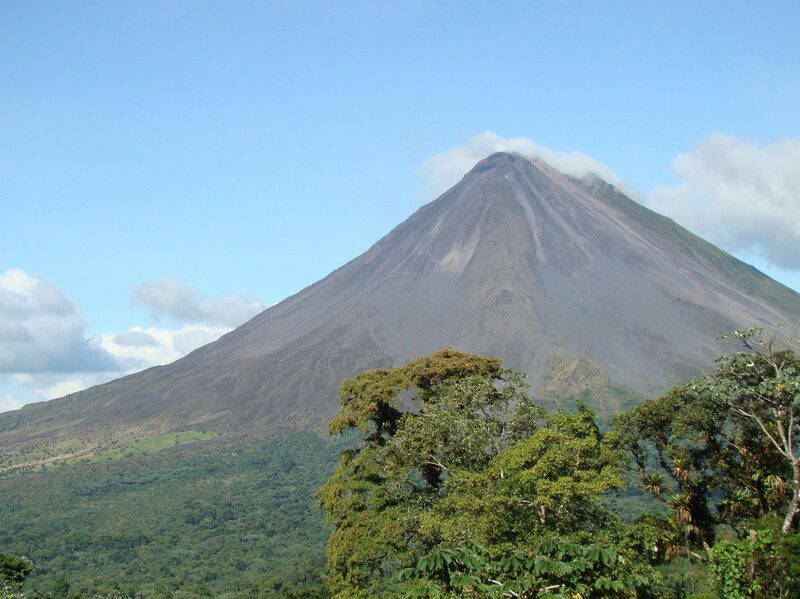 On our visit to Arenal with Collette Vacations, the volcano did little more than emit a little steam at the top, but its perfect conical shape and black rock sides were a beautiful sight. We spent three nights here at the luxurious Arenal Springs Resort, where the volcano sets a magnificent backdrop from your doorstep as well as the hot-spring fed pool with a swim-up bar. 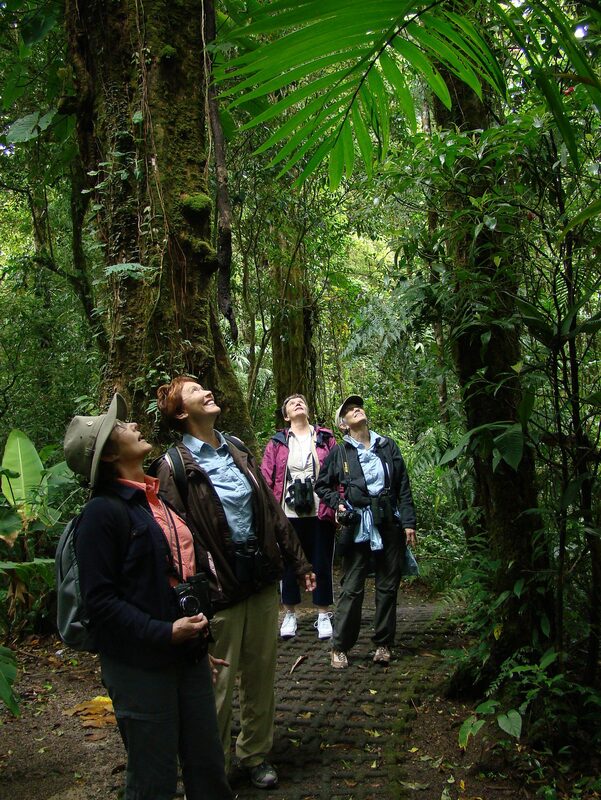 With Arenal in the background, we continued our nature excursions, birding everywhere we went. The landscape in this area is beautiful. Forest-covered hills, the volcano, and lots of farms in the lowlands. 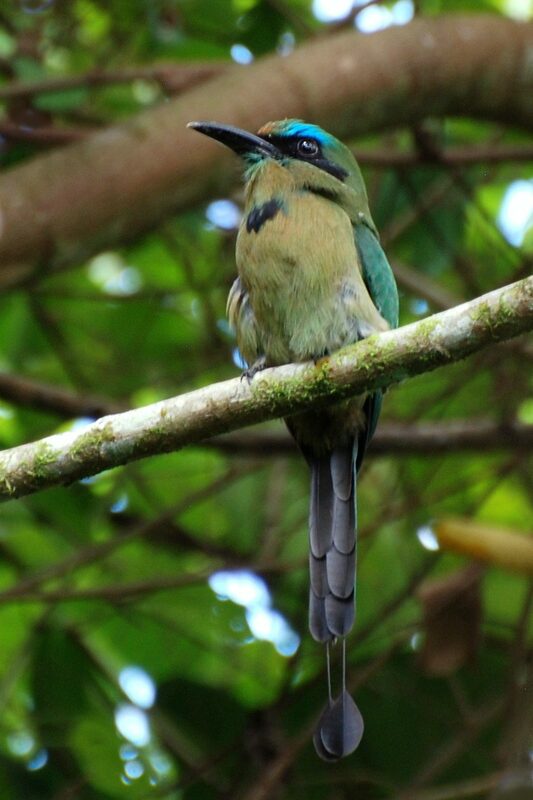 While touring a dairy farm and learning the art of Costa Rican cheese making, we spotted one of the rarest birds on the trip, a Keel-billed Motmot. With a spotty distribution in Central America, and considered a rarity in Costa Rica, and we were lucky to stumble upon it. Our guide, Jose Saenz, warned us about Monteverde. “Bad does not describe the condition of the road from Arenal to Monteverde. It is going to take all day, and we might not make it.” Despite these dire predictions, when Jose asked for hands to see who still wanted to make the trip, all but one went up. Into our bus we went at 5:30 a.m then next morning. We boarded a boat to cross Lake Arenal at 6:15 a.m. Into an0ther smaller bus and a 4-wheel drive vehicle we scrunched at 7:00 a.m. Up the muddy, potholed jeep track we meandered slowly until 7:30 a.m. when the small bus got stuck. Out of the vehicles we climbed. Good thing we had the 4-wheel drive vehicle to pull the bus up a steep slope and out of trouble…not once, but twice. Out and in, out and in. Standing on a foggy mountainside, watching the bus being pulled out of trouble someone said, “And we are doing this because…? ?” When we got to Monteverde at 9:30 a.m. we found out. For the next 4 hours, we lost all sense of time in the Monteverde Cloud Forest. Crossing canopy walkways, being swarmed by 100 hummingbirds of 7 species at a feeding station, finding new birds, butterflies, and orchids and soaking up the pure beauty of this world-class location made us forget all about the crazy ride up the mountain. 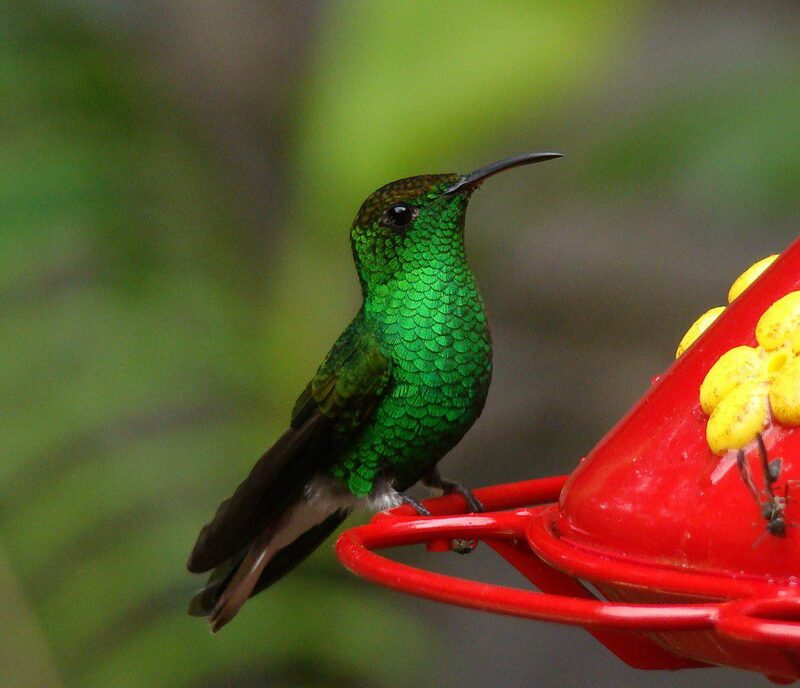 We couldn’t tear ourselves away from the incredible hummingbird feeder station here. 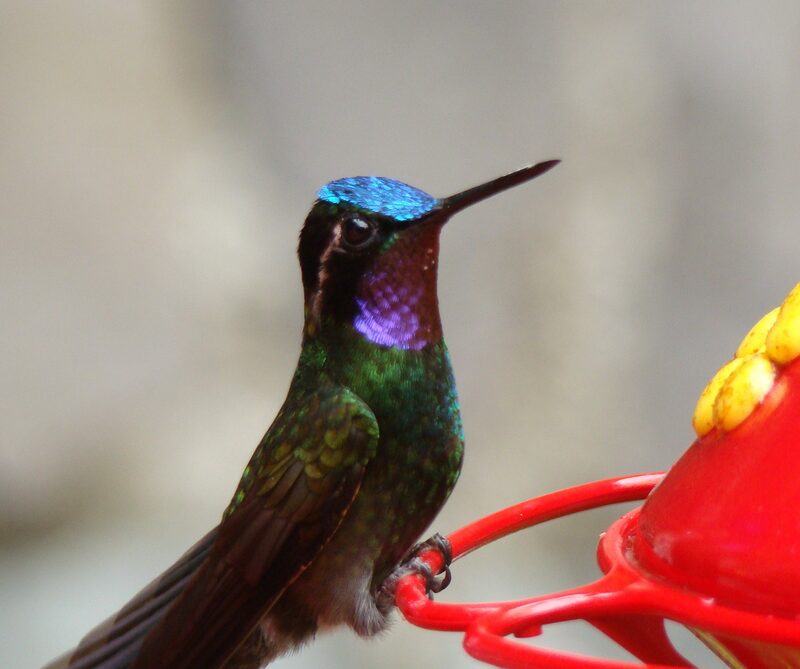 Coppery-headed Emeralds, Violet Sabrewings, Green-crowned Brilliants, Green Violet-ears, Stripe-tailed Hummingbirds, Purple-throated Mountain Gems, and Magenta-throated Woodstars formed a buzzing cloud around us. 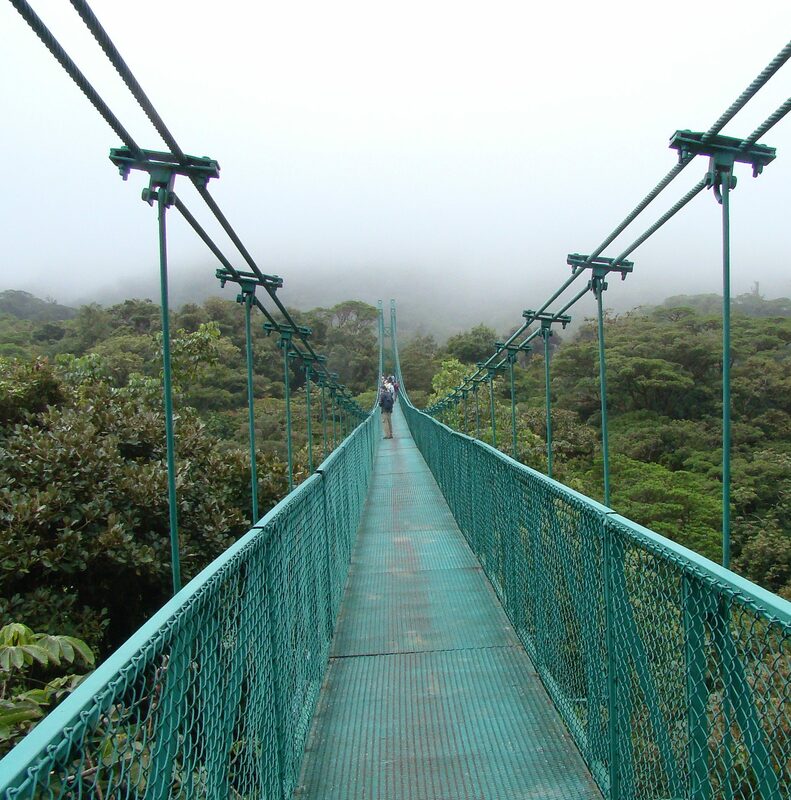 We slowly walked the path at Monteverde and lingered on long canopy walkwaybridges in the treetops. Migrant Broad-winged Hawks, which nest in eastern North America circled overhead and reminded me of the connection the tropics have with forests at home. A Black-throated Green Warbler, another North American migrant, fed in the trees with a Spangle-cheeked Tanager, assuring me I was still in the great mountain forests of Central America. Where to next? The coast of the Pacific Ocean…stay tuned!